Here’s the gear I own, have owned, reviewed or recommend. Please see my ethics statement regarding reviews and affiliate links. Thanks for the support! Click on each item to view my comments. Just because you see it here does not mean it’s the right gear for you. Please contact me about your specific setup if you have questions before purchasing. Audio-Technica ATR2100 – Cardioid Dynamic USB/XLR Microphone – (audio sample below in the player). You can also hear this microphone in the video to the right. And if you want to hear me compare the quality of the ATR2100 to the Heil PR40 below (a $300 price difference) check out episode 64 of The Podcasters’ Studio. The comparison starts at the 33 minute mark. This mic. also comes with a lifetime warranty so be sure to save your receipts and proof of purchase because I have seen the USB connection go bad on these mics. Perhaps the coolest piece of podcasting gear to emerge in the last couple years, this dual USB/XLR microphone allows the new or experienced podcaster to get their show up and running quickly while leaving room to grow your studio in the future. Among other features this mic also has a headphone input on the mic for no latency monitoring. A USB mic that’s a dynamic with terrific low end response (bass), all for less than $50. 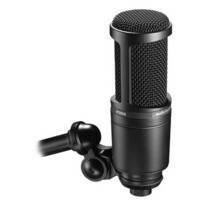 This microphone is an excellent start or addition to any podcaster’s studio. Here is a link to the “pro” version of this mic AT2005. It’s essentially the same mic just in black. Check the link to see which one is cheaper (they change). For those of you in Europe, the Samson Q2U is the exact same microphone just with different branding. Quickly becoming a podcaster favorite, the PR40 is a high end microphone at a consumer price (but still not cheap). This dynamic mic produces condenser like sounds. With excellent rejection, this front firing microphone is a great addition to a podcast studio in any environment. This is the mic you’ll see throughout the TWiT Brick House (the most successful podcast network of all time) and if it’s good enough for Leo, it’s likely good enough for your studio. If you’re interested in getting this mic, there’s no doubt you’ve already heard it and know of it’s great sound. Most recent episodes of The Podcasters’ Studio are recorded using this microphone. A couple of cautions. This mic, because it is a dynamic, requires lots of gain so you need to have a preamp that can deliver at least 50db of clean gain. In addition, I don’t think this mic sounds as good as it can without post or real-time processing. To me, the PR40 is too muddy in it’s native state and requires some low-end roll off (high pass filter). A lot of mixers either have a high-pass filter option or on-board EQ if you want to perform basic EQ-ing while recording. Audio-Technica M4000S Microphone (3 pack) – I have these microphones but since the ATR2100 was produced, I would no longer recommend these. I’d get two ATR’s). That said if you are on a strict budget and need more than two microphones, this three pack costs about the same as one ATR2100 and there is a six pack for $120. Reminder that you still need an interface to use these microphones (mixer, etc.). I bought these for in-studio guests when I was producing a music podcast with multiple hosts. Audio-Technica makes the best, affordable gear on the market IMO and these microphones are no exception. You can get three of these microphones for half the price of one Shure SM58 (although not built as well) and I don’t hear much if any difference in the audio they produce. So if you need multiple microphones in your studio for co-hosts or guests these AT’s are a decent buy. I purchased this very popular wireless microphone kit for my video setup. This allows you to place a lavaliere mic on your talent and connect it to your camera or recorder wirelessly. 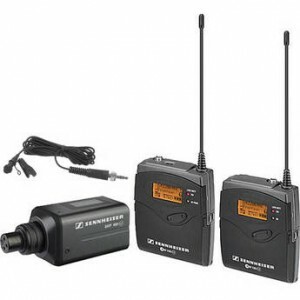 These Sennheisers are a standard in the prosumer video market that can be found in most professional web producer’s gear bag as well as many broadcast TV shows and documentaries. The included XLR mic adapter transmitter allows you to turn any professional microphone (XLR) into a wireless, handheld mic. I’ve also used the XLR transmitter connected to boom mics for wireless production, freeing up your boom operator from being tethered to the camera. These mics have always been reliable for me, producing low noise, decent rejection, no interference and long runs (I can get far away from the camera). I don’t own this budget mic. but a good friend and product reviewer Neil Perrin does. This is a beginner lavalier microphone. Your audio will improve over your built in camera microphone mainly because the microphone will be close to the source (your mouth). But if you can afford a better lavalier mic., I would recommend something else. One nice benefit of this microphone is it’s 20′ cable. That really lets you get away from the camera while still being plugged into it. You can watch Neil’s demo of this microphone to get a feel for how this mic sounds when plugged directly into a camera (see UPDATE below). For the price (approx. $25) you can’t beat this mic. for getting better audio than your camera (DSLR) will provide. There are limitations (watch battery required, no on/off switch, no battery level indicator, noticeable ground floor noise) but if you need better quality audio into your camera than the built in mic., this is a great option to start with until you can afford something better like the Sennheiser wireless lavalier listed above or a better lavalier microphone like the Aspen Mics HQ-S Stereo Lavalier Microphone. The ATR-3350 is a monaural microphone: when connected to a Stereo mic input jack on a camcorder like the Canon HV-20, it will produce a signal only on the left audio channel. An inexpensive Mono-to-Stereo adapter is available from Radio Shack (p/n 274-374, $3.99) that duplicates the output from the ATR-35 to both the left and right channels. UPDATE: The link to this mic. now goes to an updated version which is supposed to now send audio to both the left and ride side of a stereo recording. It’s not a stereo mic. but instead sends dual mono so that you no longer need to correct this (audio on left channel only) in post-production. As seen in my video about how to use and set up this mic (embedded above), this is probably the best audio for video I’ve gotten out of a microphone. Awesome sound. If you want the battery powered version check out the NTG-2 although I’ve heard that one doesn’t work as well with recorders like the H4n. I used this with the H4n (watch the video linked above) and as you can hear it worked great but note that the microphone is really close to my mouth. To produce the same results you’ll need to get any shotgun mic. within two feet of the speaker’s mouth. For run and gun DLSR video shooting I don’t think you can beat this little on-camera mic. I wouldn’t rely on this mic for interviews (I’d use a lav for that) but if you had to, you could get your camera close and this would work in a pinch. The primary function of this mic is for gathering environmental sound. That’s pretty much everything besides voice (but it will do that too) when running around with your camera getting fast shots. This will pick up anything in front of your camera quite nicely and the added gain built into the mic will give you a clean signal to noise ratio. For me, that’s the key to this microphone. There are many on-camera shotgun mics but this one has a switch to allow for an additional +20db of gain. This allows you set the audio in your DLSR (if you have manual controls) to its lowest setting and allow the Rode to do the heavy lifting. Since the pre-amp inside this mic is much better than on your DSLR, you’ll be able to pick up clean sound directly into your camera. The AT4053b is a hypercardioid condenser boom microphone. I got this microphone primarily for shooting indoor, sit-down style interviews. The reason I chose this microphone over the more popular shotgun microphone is because this is the type of boom mic best suited for smaller, indoor environments. A shotgun mic can work but the rejection tube on a shotgun can cause weird issues when your voice is reflected off close walls, ceilings and floors back into the microphone. The hypercardioid condenser removes the rejection tube and thus this phasing issue while still providing a polar pattern that will reject sound from the sides and give you a nice sounding audio recording for voice. You can see, and more importantly hear, this microphone in action in this video demo I produced using the AT4053b. (B&H) (Amazon). I purchased my AT4053b from eBay in an auction ($150 under full priced for used) which is something I don’t typically do because buying used can be scary. Fortunately this time it looks to have worked out. 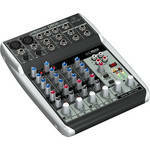 The Mackie 402VLZ ultra-compact mixer* is an excellent audio mixer for first time podcasters. “Built like a tank” the 402 is encased in steel with quality feeling knobs, sealed to prevent dust from invading the insides of the mixer. The first thing you’ll notice when you pull this mixer from the box is how well it’s built and its small size. This thing feels like a road warrior, built to be taken with you when necessary. Read my complete 402VLZ4 review write up. The Q802USB is probably the best value mixer on this page. This little mixer is full of features that a podcaster would need, has nice preamps and is less than $100. Most relevant to podcasters, the Q802USB has clean, strong preamps (+60db), two XLR inputs, one Aux Send (labeled FX Send) for setting up a mix-minus, phantom power if needed, power switch (many in this price range don’t have one), three band EQ with “single knob” compression, headphone output and a USB connection. My only negatives are the build quality, it’s mostly plastic. That said, I’m not concerned about it holding up. With so many features at such a relatively low price, I have to wonder about the quality of internal components but I’ve only good things from those that own this mixer. The other bummer is that monitoring from this mixer is only one way. In other words, if you are doing a Skype interview, you will not be able to monitor your own audio through the headphone jack if you want to hear the Skype caller through that same output. But again, at this price there has to be some compromise and this mixer is well worth the price with very few compromises. This is my current mixer. I purchased this mixer for several reasons. First, I needed insert channels. These are additional inputs into the mixer that allow you to properly add effects processors. In my case I wanted to add the MDX-4600 compressor (listed below) into my audio chain. This mixer allows me to do that. Second, I wanted real faders. My previous mixer (Alesis Multimix8 FireWire) had knobs. I prefer the ease of real faders which allow me to control each channel’s level easier, providing smoother fades. Other features I enjoy are the mute buttons on individual channels as well as for the entire mix, volume control for headphones, on-board EQ, and built in USB connectivity. However, that last feature, USB, is where this mixer falls down in my case. Besides being a little noisy when connected to my computer, the USB is only 1.1. This means you can only send a stereo signal to your computer essentially limiting you to two separate tracks of audio. And you’d have to pan one to the left, one to the right and then center each in post production just to get two separate channels. In most cases this is not an issue and upgrading to a USB2.0 or better mixer may not be necessary for your recording situation. But if you want to record more than two tracks of audio to their own channel into your software, then this mixer won’t do the trick. Fortunately my previous mixer is firewire connected which allows me to bring all eight channels into my recording software separately. So on those rare occasions when that is necessary, I have the ability to do it. 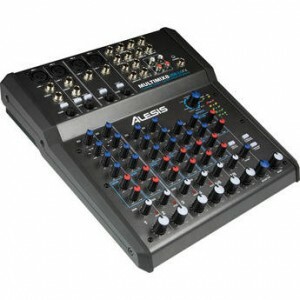 For the price, you still get a lot of features with this mixer and if you don’t need USB2.0, it’s a nice option. UPDATE: Mackie has updated the ProFX series (version 2) and it sounds like new additions include a new type of (maybe better) preamps. The preamps in the original series was already good (slight noise floor) despite not being their Onyx preamps so this new preamp (Mackie “Vita Mic Preamps”) should be nice (unconfirmed). I also have yet to confirm if the ground-loop issue from the USB output on some models of the older series has been fixed with this update. The R-05 replaced the unit I currently use the R-09HR. I don’t have experience with this particular model but have listened to other podcasters who have had both units and they sound pleased. If you want the previous model, you might still be able to find one on Amazon. I prefer the LED display on the R-09HR but other than that the two units seem to be equal. The DR-60D was given to me to review and keep (if I liked it). I do like the recorder but I think it has some pretty specific uses. I think this recorder works great in studio setups (on a tripod, not mobile). You can watch a video I created demoing how I would setup this recorder. Four channels is probably a little misleading; lots of recorders say the same thing. But in reality there are two XLR/quarter inch inputs which put a signal onto their own channel. There is one more input that is 1/8″ and it goes to a stereo channel effectively giving you four channels of audio. However you’ll only have audio on three separate channels unless you are panning the source of the 1/8″ input putting one source on the left and one on the right which you’ll have to split in post production. Something like the Zoom H6 actually supplies four separate dual XLR inputs going to their own track. What I like most about the DR-60D are the unique features it brings to consumer grade recorders. It has the ability to make a backup file of your recording that is -6db lower than your primary. This helps in the event that your audio peaks, you still have useable audio as a backup. It has lots of knobs to access it’s functions quickly as opposed to digging through menus. You can attach a strap to it and give it to someone to wear who is a dedicated sound person on your shoot. Two different types of outputs and a couple different options for monitoring your audio and much more. 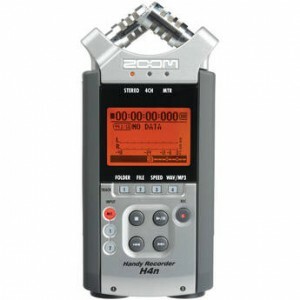 The Zoom H6 and Zoom H5 were released as upgrades to the H4n. With the H6, Zoom has added two more native XLR inputs with the ability to extend the H6 to 6 XLR inputs while placing each input on its own audio track. This is a great upgrade for videographers and podcasters alike. But, there was only one improvement that mattered most to me…the preamps. Could this new device supply whatever microphone I’m using (Sennheiser lav mics, Rode NTG series shotguns or other) with enough clean gain? This is the H4n’s fatal flaw, noisy preamps at higher gain levels. The preamps in the H6 (and H5) are very clean and I’m very happy with what Zoom has done with both the H6 and the H5 which are essentially the same recorders on the inside. The big benefit of the H6 is the additional channels. But this is only a benefit if you actually need them. If you are shooting video or recording audio that is only one or two microphones, the H5 is enough. It’s important to note that the H5 can also be upgraded to include an additional two extra XLR inputs for a total of four. But on both devices the additional add-on XLR piece does not provide phantom power and is sold separately. So why buy the H6 over another device? Channels. With up to six channels of XLR input you can mic. just about any situation and still run with a very small setup. Other features I love of the H6 are the analog gain controls on each channel, the color screen, the separate line out and headphone outputs, battery capacity upgrade (four instead of two AA), interchangeable capsules, though I wasn’t impressed with the shotgun mic. I would buy a separate mic like a Rode NTG series shotgun. What I thought was a negative at first turned out to be one of the H6’s biggest assets. The ability to power the H6 via USB. Not only does this device act as an audio interface to your computer but it can be powered by your computer via the USB bus so that you don’t have to waste batteries. But the huge advantage is the ability to run it off of a USB power brick. This will save you a bunch of money because you won’t be constantly replacing AA batteries. I now use rechargeable AA batteries as well for this same reason. And to top it off, in my test, when I disconnected the device from USB power while recording, it didn’t miss a beat, still being powered by AA batteries as a backup and not affecting the recording. This is not a necessary piece of podcasting gear. Nevertheless, I own it. 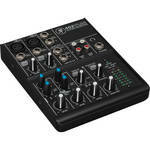 I purchased the MDX to enhance my studio productions recorded in real-time (live to drive) and to learn how to use it. As a podcaster who teaches others about podcasting, it’s important for me to learn as much as possible about audio production. That said, I’m still on a budget;) This piece of gear has several core functions built in that any audio production can benefit from and learning how these work were an important element of personal growth in my production resume. The limiter and gate/expander functions are the primary processes currently in use in my productions. I add compression in post production. However, if I’m doing a live stream, or appearing as a guest on another podcast, this allows me to add some compression in real-time to enhance the audio I’m sending and won’t have any control over in the final product. The four channels are handy because they allow me to bring in additional sources such as Skype or in-studio guests into the production while applying individualized settings for each source. I wouldn’t recommend this piece of gear to a new podcaster. Learn basic audio production and then add in additional elements such as this MDX later if you feel you need to or want to learn additional production skills. There are likely better compressors, however this is a great entry level price especially for four separate channels. UPDATE: My primary processor is now the DBX286s listed below. It provides a strong, clean preamp which the MDX4600 does not have. However, the DBX286s only processes one microphone whereas the MDX4600 can do four. So for a high-quality preamp with a compressor, gate, and de-esser, the DBX286s is my current favorite but I will still use the MDX4600 to process incoming Skype calls. I’ve also since purchased a second DBX286s for a future, in-studio guest microphone. I bought the DBX for a couple different reasons. First off, it has become a well known and well used piece of gear in the podcasting space. Many of the podcasters whose audio quality I admire, use and recommend the DBX286 series. For that reason alone, I was quite curious about why so many podcasters like it so much. Secondly, I was looking for a better preamp and a noise gate/expander that was more transparent than what I was experiencing with the MDX4600. The compressor and deesser controls were an added bonus. If you need a quality preamp, the DBX286s provides +60db of really clean gain. This can help a lot when using dynamic microphones which tend to need more gain than a condenser. Beyond that, the expander works well and when set correctly, you should not be able to notice it engaging and disengaging. This of course is dependent on your environment and how you plan to use the expander/gate. That said, this processor is definitely not plug-and-play; no compressor that I’ve tried thus far is. You will have to spend considerable time working with the settings to get them just right for your setup and the controls are not common to other processing gear. In the end, it’s not a magical device that will remove noise from your audio. If you have noise you’ll need to deal with that but it does supply a nice amount of clean gain and is a well built, solid piece of gear. This cheap headphone amplifier does exactly what it says, it gives you four outputs to plug your headphones into. Typically with gear like a mixer you’ll have one output for your headphones. If you have multiple people in your studio, this amp gives you the ability to add three more headphones so each person can monitor their own audio. The other benefit of a device like this is that each person gets control over their own volume levels so they can listen at whatever level is comfortable for them. My only complainant is when the volume is turned up too far you start to get static. The good news is it’s not in your recording, just what you’re hearing. At this price I wouldn’t expect premium amps. These were my first, over-the-ear, studio quality headphones. They are a staple in the audio and video production biz and at only $99 they seemed like a great option. However I haven’t been as happy with them as their reputation implies I should be. True, they produce great sound but I’m not convinced it’s the proper sound for podcasters. Ideally you want the flattest signal possible. What I mean is you don’t want your sound changed by the manufacture in order to enhance your audio in any way. The best headphones for podcasting would reproduce the sound you are outputting and receiving exactly “as is.” This way you get an accurate representation of the audio you are producing. I think these come close but I still think they might be producing more bass than is actually in the mix. The jury is still out. However, the slightly increased bass response may exist to help you hear things like low-end rumble like the Senals linked below. Also, for a pair of headphones so widely in use by professionals, I was surprised when my foam pads starting coming off so easily. These are not easy to get back on. The exposed wired near the ear pads also get caught in the gap created by the pivot point between the headband and the ears. I do like their compact size (they are collapsable), the good sounding audio, the sound isolation and fit, however, I’m let down by the many flaws that I didn’t think you’d find in headphones so widely used by professionals. If you’re looking for great sound, over the ear coverage, low profile, in a small package at a reasonable price these are still a good buy. I was sent these Senal SMH-1000 headphones to try and out keep. I’ve been using them since that time in place of my Sony MDR-7506 (above) after the headphone ear pads kept falling off and the cables continued to get stuck between the headband and the ear pad. These headphones are about ten dollars less (you should always price check and compare) but are essentially a clone of the Sonys with none of the issues (so far). They produce a nice accurate sound so that I can post-process my audio and know that what I’m hearing is what I’ll get when I’m done. 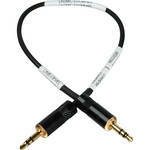 A nice bonus over the Sonys is the included detachable, locking cables (10ft and 3ft). Since I was allowed to keep this pair, I didn’t do a more formal review but had I not liked these, I would of sent them back. A couple years later, these are still my go-to studio headphones. The iMic from Griffin is a USB audio interface that allows you to record external sources such mp3 players, mixers, microphones, etc. into your computer. Besides giving you easy audio input capabilities the iMic also allows you to output audio from your computer. It has selectable line and mic inputs to work with any device you want to input into your computer. I’ve used this to replace my mixer’s noisy USB output. Based on my experience with the device the iMic provides clean audio in. I’ve also used this to bring in microphones such as my wireless lavalier kit allowing me the freedom to get up and walk around while on a Skype call or doing an online presentation. UPDATE: after about three years the iMic stopped working. I would still buy this unit again. For the price it did it’s job perfectly and had an acceptable lifetime. I’ve since upgraded to a Focusrite Scarlett 2i4 for additional functionality (B&H | Amazon). If you need an additional 20db of clean gain for your microphone. Dynamic mics like the Shure SM7B need lots of gain in order to obtain proper levels for recording, the Fathead, when combined with and audio recorder or mixer, can provide all the gain you’ll need to get a great signal out of your microphone. This does the same thing as the Cloudlifter and works equally well. I prefer the Fethead because it requires less cabling (simply place this between your microphone and XLR cable) making it even more portable. And it’s cheaper! This Fethead requires that you supply 48v of phantom power. This power is what makes the Fethead work, it does not get passed onto your microphone. This tabletop boom stand was purchased to hold in-studio guest microphones. It has a very sturdy, heavy base that should hold any microphone used for podcasting. It’s nice to be able to boom the microphone over something like a laptop computer and tilt the arm to sit nicely in front of the speaker’s mouth keeping the base of the stand out of the way. My only issue with this stand was with the microphone clip that comes with it. It’s plastic and came loose from the threading. This wasn’t a big deal as most microphones come with their microphone clip and a decent microphone like the Shure SM58 will have a metal threaded clip. Sescom Line to mic connection cable w/ headphone monitor for Zoom H4n. Both this one and the one below attenuate (lessen/pad) the signal coming from a line level feed such as the headphone output of a Zoom H4n. Because a DSLR’s mic input is “mic level” the signal is too hot (line level is greater (louder) than mic level). This cable lessons the power of that output making it work better with your DSLR. However I have never used one. If you are experiencing audio being too “hot” of a signal into your DSLR mic input, this cable might be a solution for you. Windscreen “dead cat” for select Shotgun microphones. With many brands of SD card it can be hard to know which to buy. These Transcends are the best of the “cheap” brands. Considerably lower priced than the more well known brands, Transcends are gaining a great reputation for bargain SD cards. I have several of these for my DSLR video setup as well as podcast recorders and I haven’t had an issue with any of them. If buy these for DLSR video, you need to get class 6 or higher. This is signified by the C surrounding the number (10 as pictured here). I prefer class 10 for faster read and write times. This is a special use case piece of gear that I wouldn’t buy until after I bought a tripod and knew I needed this. I own this but use it sparingly. That said, I really like it. It allows you to get more stable shots while being more mobile. The unique legs on the bottom allow for extra movements creating cool shots. You can also extend this very high to get above a crowd. This is my tripod. This current model is discontinued and looks like it was replaced with the 502. A quality tripod can be an expensive piece of gear but is perhaps one of the most necessary pieces you’ll buy. A tripod is not only a convenient way to mount your camera wherever you need it (perhaps you shoot videos of yourself) but stabilizing your shot is a first step in making your video go from amateur to pro. This Manfrotto system (legs and fluid head) has worked well for me and withstood the test of time, travel and work. into the base and you’re ready to go. It doesn’t support a lot of weight but they have bigger models that do. I love buying gear that will serve several purposes. This stand allows me to mount microphones, lights, recorders, reflectors and just about anything else with a 1/4″ 20 threaded screw mount. Even better it provides a boom arm which allows me to create just about any configuration I find myself needing. The clips located on the boom arm will hold my 5 in 1 reflector (below) which can act as a light diffuser or provide fill light. It’s like having an assistant you don’t have to pay;) It’s made of light weight aluminum with plastic knobs but overall it feels quite study. There is also a hole located at the backend of the boom arm to mount a counterweight if needed. This is my first softbox. They allow you to control the light easier because the back is covered and they provide softer light by utilizing diffusion. My main reason for holding off on a light like this for so long was price. Softboxes are not cheap, not the good ones anyway. This kit by Linco seems to be the best compromise between budget and quality I’ve seen. It’s built really well and puts out a ton of light with the included >CRI 90, 85w, daylight balance bulbs (6). That’s equivalent to a 340w watt tungsten/incandescent light per bulb (typical household bulb) equaling a total of 2040 watts equivalent of light! Check out my video where I do a quick demo of the Linco Flora Easysoftbox at just half power. That’s another nice feature, you can control the amount of light coming out of the Flora by turning on 3 or 6 of the bulbs via two power switches. This kit comes with everything you need to start using this light (softbox, stand, bulbs). I’ll update this after a year of use and see how the kit is holding up. The F&V R300 Ring light is the first LED light over $100 that I felt confident buying. This light is as powerful as a 1×1 Litepanel which costs three times as much. You can use this light as a key light if needed but it functions best as a fill or hair light. The magnetic filters are very handy as they easily come on and off but are strong enough to stay in place. You couldn’t get a much more portable light than this LED. It’s slim and very light. The daylight balance is fairly accurate. I find most if not all LED still have a slight color shift towards green but that’s easily adjustable in post production. It matches very well with other daylight balanced bulbs. The battery life on this light has been superb for me. I bought the larger of the two options and I’ve gotten more life out of it than I expected. The build while still being plastic is well done. It doesn’t feel cheap and I think it could probably handle being taken from shoot to shoot. Than said, I wouldn’t want to drop it too many times. I also got the “milk” diffusion which provides softer light when placed on front. I like having it but I don’t think it makes a dramatic difference. Any diffusion placed that close to the light is not going to be very soft but it does help soften the light for those who have to sit in front of them. Here’s a video (embedded above) I made that demonstrates some of the features mentioned here and how it works well as a fill light. LED lighting can be pricey. This handy, cam mountable unit has worked well in spots where I need additional light. You aren’t going to be able to light your studio with one of these but for close up interviews in dark places or additional fill light for webcam streaming, this will do the job…cheap. It’s plastic build leaves plenty to be desired but if you need an LED light in a pinch this model will work while not breaking the bank. This is my primary DLSR camera for video production and photography. I absolutely love this cam and the images it produces. With a flip out screen, manual color adjustments (dial in your own Kelvin number), expanded ISO options, manual audio controls and several other features, this cam is a great bargain for those who can’t afford a full sensor camera such as a 5D markIII. See my video explaining why I chose this camera for my video production needs. My first DLSR. The price on this kit is great and gets you a lens along with the body but I’d take a serious look at the T4i before purchasing this cam. You’ll get many upgraded features and if it’s in your budget it’s a better buy. I don’t own the Canon 70D…yet. This is a camera that I’ve been waiting a long time for. This is the first real update to Canon’s crop-sensor (APS-C) line of cameras that I feel has been worth purchasing since the 60D. The major update included with the 70D is the addition of continuous auto-focus (AF). Canon has done this before in the T4i (650D, replace by the T5i) and T5i (700D) but not until the 70D did they get it right. This camera pulls focus automatically with little to no noticeable jitter. It can probably focus better than you. The image quality hasn’t been drastically upgraded, it’s already good, but the addition of full-time AF makes the 70D worth the price if that’s a feature you need. For me, I shoot a lot of videos where I’m in front of the camera and nobody is behind the camera. Having a DSLR that can keep focus, especially when using large apertures like 2.8 or lower, is a huge boon for my productions; I don’t have to worry about being out of focus if I move and I save a lot of time and frustration constantly having to refocus my image. If this is not a feature you think you need, I would probably buy the 60D (my current camera). Based on tests I’ve seen, it does look like the 70D performs better (cleaner video) at higher ISOs than the 60D. This is another significant upgrade as you can get better low-light footage. The Sony A7S is a camera that I got in for review, I don’t currently own one but I would love to. I wanted to test this camera for myself and see what all the buzz was about and if indeed I could replicate the incredible low-light capabilities I have seen on other reviews of this camera. This was my first experience with a mirrorless camera and it was hard to go back to my DSLR. I love the compactness of this camera, it’s very easy to carry everywhere and despite a not so great menu system, the A7S was a pleasure to use. It’s much pricier than any DSLR I’ve owned however it is a really amazing video camera. Most noticeable of course is its ability to shoot in the dark, literally, it can see in the dark and it can do it with very low noise in the image. I was able to get clean video at 12,000 ISO which is more than 12x the max ISO I ever want to use on my Canon DSLRs. The beauty of this is you are freed from having to think about ISO. You can get the exposure you need using the ISO instead of worry if adjusting it to a higher number is going to make your video look terrible. It also has an awesome codec (XAVC S) and a pro level picture profile (S-Log2). To use the XAVC S codec you will need an SDXC Class 10 UHS1 card. I hope the next iteration of this camera will include IS on the sensor and internal 4K. At that point I might have to upgrade however it will be a tough one on the budget. This kind of video capability is not cheap. For those video producers who need everything in a single package (professional audio connections, large sensor, full manual control, long record times, low light capable, build in ND, focus peaking, SDI out, pro codec, etc.) this is a great little camera. Most DSLR’s have a 12-30 minute recording limit for any single clip. This can very limiting when shooting interviews, presentations, or anything that requires long record times. The PXW-X70 has a dual SD card slots and is only limited by the size of your card. This cam supports SDXC cards which means you could record for hours without stopping. The large 1″ sensor allows this camera to get shallow depth of field shots like you’d get from a DSLR as well as it performs well in lower light situations due to the large sensor size. The only thing I don’t care for on this cam is the placement of the menu button which is hard to reach while the flip screen is out and the fact that the aperture is not constant. Your aperture will adjust as you zoom in and out. Otherwise this is a nearly perfect camera that gives you everything you need to produce great looking, professional video without the need to buy any of the external add-ons that you would have to get with a DSLR to many of the same functions. This is the HD webcam I use in the production of Podcasters’ Roundtable. Stellar quality featuring manual controls on a PC. Pick up Webcam Settings app for OSX if you want manual controls on the mac. This cam is both Mac and PC compatible. The compression (H.264) processing is done in cam so that this task is not passed off to your processor resulting in better performance from your computer when doing things like live-streaming. People often ask me why my webcam looks so much better than others. Great lighting and this cam are the key ingredients. See more about my webcam lighting setup. Allows me to easily snap my DSLR camera in out our of my tripod. This is true quick-release as opposed to the type most tripods offer which tends to be a slide in, slide out release. I get asked about this piece of gear a lot. In my video that demonstrates my DLSR video setup for quality audio you can see this holding my H4n to my 60D. It’s simple but effective if you need to attach something with a 1/4″-20 screw to the hot-shoe of your camera. The ball head allows you to adjust any connected device into a position of your liking. In my personal setup, it allows me to monitor the audio meters on the H4n while shooting as well as easily make adjustments to the H4n’s settings. I use this remote timer for time-lapse videos and to set focus on my DSLR when shooting alone. Because most Canon DSLR’s don’t have a continuous auto-focus feature, you need to refocus each time you compose a new shot. This can be quite a challenge when you are filming yourself. Attached to your Canon DSLR, you can sit approximately 4-5 away from your cam, turn on face detection and press the shutter button on this timer to grab a clean, sharp focus. This is a really cheap model that seems to be holding up over time. The biggest downside is there is no on/off switch which means you have to remove the batteries after each use. This is not ideal but at this price it’s not a deal breaker. The freedom of no wires! This little remote has been awesome and can be your best friend if you’re a solo shooter like myself. I use this to both focus my cam and start/stop each recording. I shoot a lot of videos where it’s just me in front of the camera. This remote allows me to get more than arm lengths away from the camera, use face tracking to follow me, get focus and start the recording. I love it. It’s also very small so it easily hides in my hand or can be put into my pocket while filming. Position 1 (on back) allows you to focus, position 2 is for record start/stop and your camera needs to be set to it’s timer mode. I use this with my Canon 60D. This simple bar gives you the option to mount more than one accessory (mic, lights, audio recorder, etc) to the top of any camera that has a hot/cold shoe mount. that one). What makes this lens so exciting to me is that it gives you most of what you want as a DSLR video shooter all in a single package. This might make this lens the best starter lens available. You get a large aperture (F2) to allow for more natural light to enter the camera, keeping ISO levels down and making it easier to get the blurry background (shallow depth of field) that so many DSLR shooters want to achieve. It covers a full frame sensor which means you could buy this lens for your crop sensor Canon and if you move up to a full frame sensor, this lens will work on that new camera. And of course you get IS which means you can go handheld at any time, making you a much more versatile filmmaker with just a single lens. Check out my review and demo video of the Canon 35mm F2 IS. I’ve been using this lens for the last few months and I love it. First off it’s a 1.4 f-stop so you are going to be able to get in a lot of light in situations where there isn’t much light. It’s sharp and not too heavy. Things I wish it had for video would be image stabilization, fast auto focus and a better build quality. But for the price this is a great option for getting a lens with Canon glass and f 1.4. The wide aperture and great quality are the main reasons I use this lens. This Sigma pictured here is the brand new version of the Sigma 30mm 1.4 that I own (see video). For shallow depth of field (blurry backgrounds) and lots of clean light, you can’t beat a 1.4 lens at this price. The 30mm Sigma is probably the lens I shoot the most with. It’s a great focal length for a crop sensor DSLR like the 60D or 70D which ends up being a 48mm field of view on a crop sensor. It’s wide enough to get most subjects in the shot in a not too large space like a room in your house and not so wide that it creates distortion. Add to that, the large aperture and this lens is the workhorse in my gear bag. That said, the version I have has a tendency to miss focus which can be really frustrating but from what I know the newer version (linked above) is supposed to be much better if not completely fixed. Interestingly, it can be plugged into a USB dock (not included) and calibrated if you were to have focusing issues. Very cool! This is a lens I don’t own but if you’re on a very small budget, the “nifty fifty” allows you to get a wide aperture at 1.8 for low light and shallow depth of field shooting. The body is all plastic and it feels cheap with a tiny focus ring. The main reason you’d buy this lens is to be able to get that nice wide aperture and a cheap price. The Sigma 18-35mm f1.8 is a first of its kind. Never before has a zoom lens achieved an aperture greater than 2.8. For video, the bigger your aperture, the cleaner your image will be in low light. Having a 1.8 allows you to get lots of light into your camera which allows you to rely less on the ISO to get your exposure. A larger aperture also helps you achieve more shallow depth of field (blurry backgrounds). Sigma sent me this lens to try out for a month and I spent some time shooting with it in various locations. The short video piece you see at the end of this video was shot inside a train museum requiring me to use this lens at f1.8 most of the time. The resulting video looks quite good and I’m impressed with this lens for shooting video. The lens is heavy and not very compact but feels solid and well built. There’s no image stabilization so shooting with this lens handheld will be a challenge but it can be done with a minimal amount of shake as you can see in this video (all shots were handheld). Take special note that this is Canon mount (other mounts available) and is designed for APS-C-sized sensors meaning that it will not cover a full sized sensor like the Canon 5D and 6D series. Here’s another lens I haven’t tried but I included it here because it’s very similar to my first lens which is now discontinued. It costs a little more but what you get for the price is a 2.8 f-stop through the entire focal range. This is a really nice feature and always costs more. I don’t know if the price difference is worth it but it’s an option if you wanted that wide aperture throughout. I wanted to include it here because I wasn’t aware of it when I purchased mine. However the large price difference probably would have made the decision for me. One more lens I don’t own but comparable to the Sigma above at a lesser price however you don’t get the same aperture throughout. You do get a longer focal range though, giving you the ability to reach out more with your lens. Again this is image stabilized which is a very nice feature when shooting DLSR video. The Fader ND allows you to film video in very bright environments such as a sunny day with a wide open aperture maintaining a shallow depth of field or that blurry background (bokeh) that is so popular in DSLR video making. One filter has several levels of neutral density (ND) that you can cycle through making your image darker through each steps without the need to change your aperture (f-stop). Check out the video I made demoing how the Fader ND works (embedded above). Allows me to attach older Contax/Yashica manual lenses to my Canon DSLR. This is my current video post production software. Most of the videos you see on my YouTube channel are created using PPro. I also use Photoshop, After Effects, and Audition which are all inside the CS package. Many people ask me how I export such great looking video out of my editor, the answer is simple: shoot great looking video (lighting is key) and use the presets or YouTube that are already built into these (FCPX as well) pro editors. Compressing video used to be a big mystery and quite a hassle. Adobe and Apple have made this very easy. At $300 for a fully featured video editor it’s hard to go wrong with this purchase if you have a mac. You can try FCPX for free for 30 days.). Simply put, magic. This is awesome software if your record “second sound” (audio that is separate from your camera). This software (make sure it works with your system first) allows you to start a recorder and never stop it till you’re all done shooting your video. In post production you import your audio and video (with reference audio) and PE3 will automagically sync all your external audio with your video. You will literally save hours of having to sync all the audio on your own. If you’re doing lots of recording that involves a bunch of different takes (starting and stopping your video camera) this software will be your best friend. Bossjock app for iPhone and iPad is the best podcasting production app I’ve used on iOS devices. If you want to be completely mobile, this is a great way to do it. You can plug an ATR2100 USB mic into your device using the camera connection kit for awesome audio quality. Bossjock allows you to have all your music and SFX keyed up in a large “cart” (soundboard) for rolling in intros, outros, etc. You can easily control all the levels and the app will use auto ducking to turn down the music when you press the mic to record. Here’s a video I made about how Bossjock app works for recording podcasts and VO’s. App for OSX used to gain manual control over my webcam. You can view a the demo I created about using Webcam Settings. Help knock down audio reflections in your studio. Audio tends to bounce off of hard surfaces and returns into your mic as reverb or echo. A few well placed acoustic panels are a good way to help cancel out this issue. PremiumBeat.com. This is my favorite place to get Royalty free music and because I use and like them they were kind enough to sponsor my YouTube channel. I enjoy the quality sounding music, large selection, easy browsing, multiple song version, sound fx and their awesome blog. Another really great feature is that you can use this music on YouTube without fear having issues with YouTube’s Content ID system. Really there’s nothing not to like check it out if you’re looking for theme music for your podcast, YouTube channel or whatever project you have that needs professional music. Retired Gear (gear I have owned but no longer use). My first “real” podcasting mic, the AT2020 produces great sound. I loved my voice on this microphone however because it’s a condenser it picks up much more of the studio’s environment which doesn’t make condenser microphones ideal for podcasting. At $99 it’s a great mic that also comes in a USB version as well. For most podcasters, I would recommend a dynamic mic. which provides more noise rejection in less than perfect recording environments (aka most podcasting studios…like your spare bedroom;)). I originally bought this mic. to use as a Skype microphone after hearing the quality of other Skype calls using the Snowball. It sounds much better than an on-board computer microphone and the included stand allows you to place the mic. closer to your mouth. It’s USB connectivity runs on any OS making it a very easy microphone for those just looking to plug in and get started. Besides Skype, I’ve also utilized this microphone for VO’s, screencasts, and podcasts. When used correctly (good mic. technique in a quiet studio) this mic. can produce a nice sounding podcast while not breaking the bank. 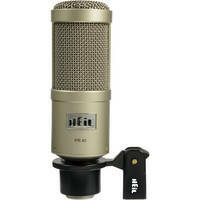 But if purchasing this mic. solely for podcast use, I would get the ATR-2100 (details above) due to its ability to reject more background noise and produce better sounding audio. My first mixer was the firewire version of this mixer (discontinued). The key feature of this mixer is its ability to input multiple channels into your computer. That means you could record each audio source that’s plugged into this mixer on its own track in your multi-track audio software. This is a crucial step in being able to work with each track of audio independently, giving you total control over your podcast’s audio in post production. I don’t own this mixer nor I have used it but I’ve included it on this page because it’s a decent option for multi-track recording for less than $1K. For me, this is close to being a perfect podcasting mixer. You could buy this and likely never have to upgrade. It’s firewire connected so you can record all channels separately into your computer. It has insert channels to add in additional effects processors (EQ, compressors, etc.) as you grow and many other features that fit the needs of podcasting. It’s a pricey option but this is certainly a scenario where you get what you pay for. My biggest concern with this mixer and others in the Onyx line, is the level attenuation on the firewire output. I’ve heard of some issues getting a strong enough signal into the computer. UPDATE: I was finally able to confirm that the firewire output of the Onyx is attenuated which makes it very difficult to get a signal that is loud enough into your computer. Due to this issue and new mixers that are now available like the Behringer UFX1204 and Soundcraft MTK 12, I would probably not buy this mixer for multichannel recording. I purchased the H4n for my video DLSR setup because it allows me to connect professional grade microphones into my camera. This recorder however can do it all. Primarily built for musicians, this recorder does everything a podcaster could want including compressing to mp3 if necessary. This also works as an excellent mobile podcast studio allowing you to connect up to two XLR microphones via the dual XLR quarter inch inputs on the bottom of the device. It also has two built in condenser mics on top of the unit and allows for up to four track recordings allowing to you capture your microphones while pointing the on-board mics at the audience to pick up questions and participation. You can work with the resulting files independently in post-production giving you ultimate control over the quality of your podcast’s audio. Camera Connection Kit for iPad and iPhone 4s and below. I use connect my ATR2100 USB microphone to my iPad and iPhone for use with the Bossjock app for podcasting as demoed in this video. Along with the USB connector you also get an SD card reader which I think only works with the iPad. I use it to bring in images from my DSLR and edit them with photo editing software. * all links are affiliate links which help support the site and podcast at no additional cost to you.